Some months ago I posted on my thoughts about the origins of anti-Semitism. Since then, though, in conversation with others and my own thinking, I have reached the conclusion that modern anti-Semitism is much broader-based. Where once it was spawned by fanatical Christians and Muslims, nowadays it’s embraced by secular people. Where it was once the province of fascists and ultra-conservatives, nowadays the Left spouts it as much as anyone. I concede that my post was woefully inadequate to describe the full force and pervasiveness of it. 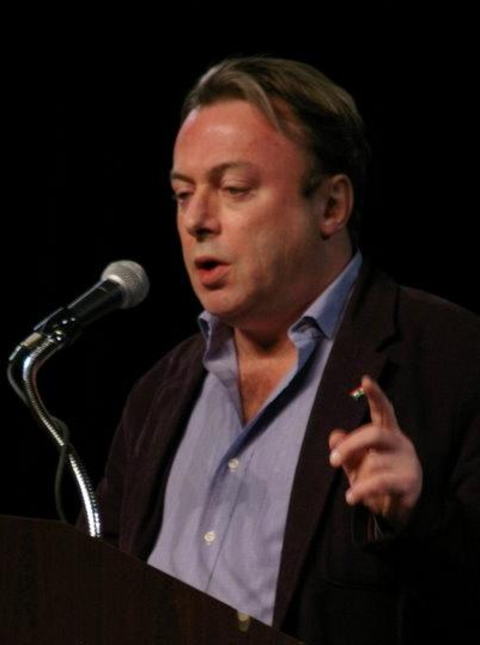 Hitchens’s Wiki page labels him an “author, journalist, activist, [and] pundit.” He’s been labeled a neo-conservative by some critics, while Forbes magazine listed him in 2009 as one of the “25 most influential liberals in the US media.” Reading how comfortable he can be on either end of the spectrum (though rather than a conservative I might call him instead a non-politically correct libertarian, if that’s not already redundant), he seems to me to call things what they are, and to be more moved by facts than emotions or dogma. [N]o one who pays any attention to the news from the Muslim ghettoes in Europe to the proclamations in the Middle East to the pronouncements of the Russian Orthodox Church, now the black cowled bodyguard of Putin’s new Russian nationalist authoritarianism (Question: Is Russian nationalist authoritarianism ever good for the Jews?) to Ratzinger himself, now Pope, restoring to the ranks the formerly excommunicated members of the Society of Pope Pius—the anti-Semites, the Holocaust deniers, the people who believe that the Church should never have said that Jews were not collectively responsible for the murder of Christ—it’s all coming back and needs to be confronted. … This plague is very Protean, and very durable and very volatile. It occurs in all ages and in practically all societies; the only one I know where the Jewish people have not been persecuted is India. [Although a friend just informed me that the Portuguese Inquisition followed the Jews to Goa, so there goes that exception. —S] Just when you think it’s been eradicated, up it pops again; it surges. It’s exploded with or without the State of Israel, with or without Zionism, with or without finance—capitalism—for which Jews were blamed, and with or without communism, for which amazingly Jews were simultaneously blamed; and, of course, in parts of Poland and elsewhere, with or without any Jews at all, there were outbreaks of pernicious anti-Semitism. Yes, at least two-thirds of it is, more or less by definition. In numbers, that means a lot of people. The two that are plagiarized from Judaism—from the worst bits of Judaism, I would add. Why do I say this? Because any real Christian, any seriously believing Christian would give everything he owned to have a personal meeting with Jesus of Nazareth. Nothing more could be desired than that moment. They yearn for it; they thirst for it; they hunger for it. No serious Muslim could want anything more than to have met himself the messenger of God, the prophet Mohammed. But there were no Ukrainians around at that time; there were no Poles at the crucifixion; there were no Irish people in Mecca or Medina. There’s only one people that’s still around that met both these imposters and said, “No. No sale. Don’t believe it.” Do you think that’s ever going to be forgiven? Of course it’s not. Of course it’ll never be forgiven. They saw Jesus of Nazareth and they spat in his face. They saw the prophet Mohammed and they said, “This guy is just a warlord.” Of Jesus they said, “He’s just a crackpot rabbi,” and also great blasphemer. Maimonides says, in one of his sharper passages, “The sages never did a better thing than when they got rid of that rabble-rousing imposter.” Well, it makes you proud, I hope. You shouldn’t want to be forgiven for getting a thing like that right. Answering a question from a member of the audience about whether Hitchens thinks the American Left views the Middle East as the host of the latest Civil Rights movement, Hitchens agrees that that plays a role in the Left’s anti-Zionism, but takes it a step further (and vindicates some of my irritation with underinformed commenters on this blog). What’s happened with a lot of the Left is that they genuinely think that Islamic jihadism is a movement of brown-skinned disempowered people who’ve had a hard time. If they’re against the United States empire, they must be doing something right. And most of these people are fantastically ignorant; they know nothing about it; they’ve cared nothing at all to inform themselves. So if you say to them, “Actually, Al-Qaeda begins in India-Pakistan as an attempt to destroy the brown-skinned, multi-ethnic democracy of India by wrenching Kashmir out of the Indian State and starting a civil war, that it makes war on the other Asian democracies of the Philippines, Indonesia, in all cases trying to build a separate, ultra-fundamentalist Muslim state,” they don’t know that at all. They just feel it must be owed something and in several cases, including my old publisher, New Left Books, explicit texts have been produced, saying that since the world proletariat turned out to be a bit of a disappointment—it never did what we asked of it—at least now there is an alternative source of power, a mass disenfranchised movement of resentment against it. Now, if I had to pick any one special trait of Judaism or the Jewish personality or character, I think I would pick irony. No other religion has a prophet like Maimonides who says, “Yes, the Messiah will come, but he may tarry.” Though no Woody Allen, theologians and Christianity say things like that. For all the fetishization in Judaism of unleavened bread, the Jewish people have in fact been the yeast in enormous number of societies and countries, the leaven in the lump. Benny Morris’s new book on the origins of the Israeli-Palestine crisis quotes one of the Mufti’s people writing from the Imam’s headquarters in Jerusalem to the British saying, “You can’t be bringing Jews to this country. They’re all subversives. It’s nothing but trouble.” Again, take compliments where you can get them. So natural disturbance of the natural order. Everything was fine, every peasant knew to expect only one meal a day, everyone knew who owned what and where, everyone obeyed the priests and the mullahs, but now look. These scrofulous trouble makers from Poland and Latvia. Rabbi Tarfon was a great hater of Christians and had an even greater hatred of Jewish heretics, and I’ve always thought it’s wonderful that the Jewish word for heretic is Apikoros, follower of Epicurus and student of Greek. That’s a nice way to be called a heretic. Anyway, I’m not a great admirer of Rabbi Tarfon, but he had it right when he said… “You are not obliged to complete the task, but neither are you free to give it up or to evade it.” To be Jewish is to be involved in a continual struggle, a continual test, to be at continual risk, to be always aware of anxiety and danger and angst, just as there could be despite the best efforts of its enemies no Final Solution to the so-called Jewish problem, or Jewish question, in Europe. So one has to say there’s no ultimate security or salvation for the Jewish people or any other. More and more, for example, to me Israel begins to resemble a part of the Diaspora, not a solution to it or an alternative to it, just another place where a large number of Jewish people live in great insecurity and constant doubt. Jews will always continue to be identified as malcontents, doubters, unsound, cosmopolitan, and yes, if you like, ruthless. And I’ll close by saying this. Because anti-Semitism is the godfather of racism and the gateway to tyranny and fascism and war, it is to be regarded not as the enemy of the Jewish people, but as the common enemy of humanity and of civilization and has to be fought against very tenaciously for that reason, most especially in its current, most virulent form of Islamic jihad. Daniel Pearl’s revolting murderer was educated at the London School of Economics. Our Christmas bomber over Detroit was from a neighboring London college, the chair of the Islamic Students’ Society. Many pogroms against Jewish people have been reported from all over Europe today as I’m talking, and we can only expect this to get worse, and we must make sure our own defenses are not neglected. Our task is to call this filthy thing, this plague, this pest, by its right name, to make unceasing resistance to it, knowing all the time that it’s probably ultimately ineradicable, and bearing in mind that its hatred towards us is a compliment and resolving some of the time at any rate to do a bit more to deserve it. Thank you. There is much more good stuff in Hitchens’s lecture. His identification with the Jews, despite not embracing its theology (he’s an atheist), is because of the Jews’ tradition of questioning, their opposition to fatalism and stubborn unwillingness to accept tyranny, poverty, ignorance, and injustice in the world, and their constant efforts to further the progress, knowledge, and condition of mankind. I may not admire everything he has done in his career, but I’m with him on these points.